On the corner of Glenwood Street and Gill Avenue is the original Chapel. 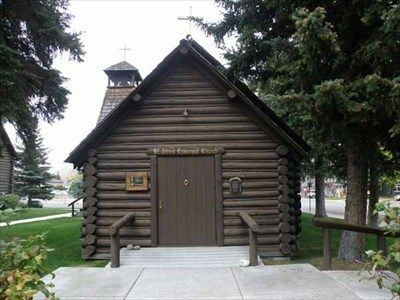 Built in 1915, the logs and stained glass chapel is listed on The National Register of Historic Places. The seating capacity is approximately 100. Holy Communion: Sundays 8:00 a.m.
Holy Communion: Wednesdays 12:00 p.m.